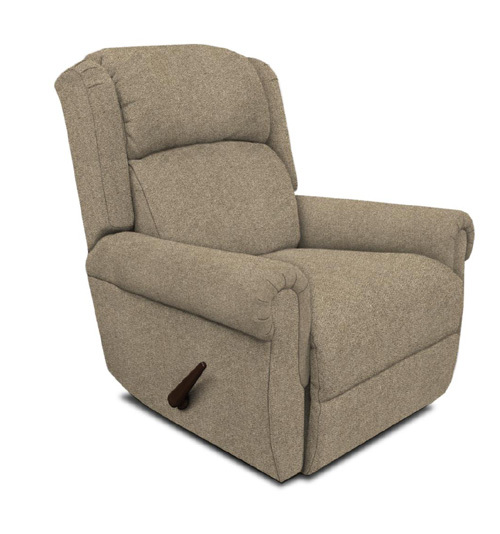 Our EZ5H recliner might be petite, but it offers big time comfort! This silhouette features a tightly rolled arm, winged pillow-top back, and overstuffed seat. Choose your custom fabric and have it home in 30 days or less! We offer the EZ5H recliner in a minimum proximity, rocker, swivel glider, and lift version all with optional power upgrades.